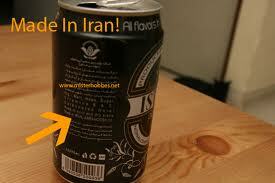 Muslims in the country have been advised against drinking a type of beer claimed to be “halal” (permissible) by the distributor company because the beverage contains alcohol content higher than permitted by Islamic law. Minister in the Prime Minister’s Department Datuk Seri Jamil Khir Baharom said the company’s claim that the beer contained only 0.01 per cent of alcohol was not true as a laboratory test showed up 0.5 per cent of alcohol. He said the Islamic Development Department of Malaysia (Jakim) and the state Islamic affairs councils would prohibit the sale of the beverage to Muslims. “We will consult the Royal Customs Department to seek more information on the matter,” he told reporters after closing a “Juara Rakyat” programme organised by Padang Serai Umno at the Sungai Karangan public field near here Saturday evening. A newspaper had reported yesterday that the “halal” beer was popular among Muslims and its sale was detected by the Johor Islamic Affairs Department (JAIJ) recently. The daily had quoted a source as saying that JAIJ took samples of the beverage and found that the drink was produced from various fruit flavours and the alcohol content was 0.5 per cent. JAIJ then asked Jakim and the Customs Department to take appropriate action, including stopping the sale of the beverage, if necessary. The newspaper quoted Johor Mufti Datuk Mohd Tahrir Samsuddin as saying that the National Fatwa Council had decided that the permissible alcohol content in food and drinks according to Islamic law was under 0.01 per cent. He had said that ulama (religious scholars) agreed to set the alcohol content at that quantity as they felt that the amount could form naturally in food and drinks. The “halal” beer, imported from an Islamic country in the Middle East, is available in cafes in Malaysia and is selling for between RM3 and RM5 per bottle. “In a situation of uncertainty, I wish to advise Muslims to stop consuming the beverage so as not to get trapped in a confusing situation,” he said. At the event, Jamil Khir handed over groceries to 30 poor and elderly people of various races.